Operation Wear Red is ON THE WAY for 2019! ​to help raise awareness of aplastic anemia. We personally invite you to GET CREATIVE with your ideas utilizing the colors red (and white) to raise awareness. The ways to join us are endless - use your imagination! It could be as simple as sharing a social post, using the OWR facebook overlay on your profile pic, throwing on something red and snapping a picture, making a quick video of support, wearing red shoelaces, a red wig or doing an event in your town. Schools, businesses, sports teams and individuals were just a few of the participants in last year's OWR! Joining the movement is easy & fun! To stay on top of the action, click that you are "going" to our event on FACEBOOK for informational updates and post pictures of your awareness activities and events here and on your own profiles. 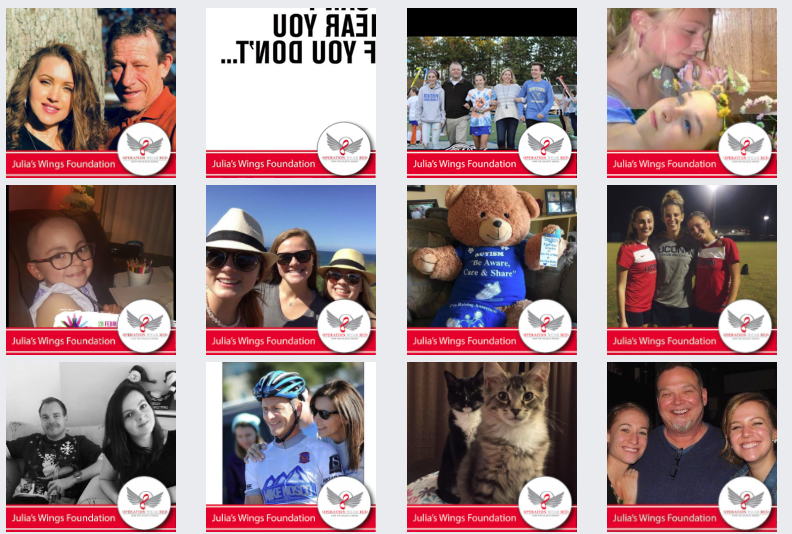 There is strength in numbers, so please use the social media tags #juliaswings, #owr and #operationwearred and invite your friends to like our posts and pages. Let's start and continue dialogue about aplastic anemia. Together we can and will ‘Be the Change’ for Julia!